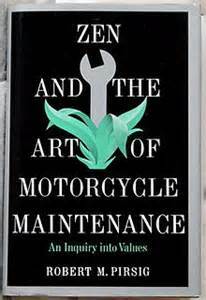 Zen and the Art of Motorcycle Maintenance is a powerful, moving, and penetrating examination of how we live . . . and a breathtaking meditation on how to live better. Here is the book that transformed a generation: an unforgettable narration of a summer motorcycle trip across America's Northwest, undertaken by a father and his young son. A story of love and fear -- of growth, discovery, and acceptance -- that becomes a profound personal and philosophical odyssey into life's fundamental questions.